They say a picture says a thousand words. Our personal video records at 50 pictures per second. With our average wedding ceremony being 15 minutes long that would be 45 thousand pictures! 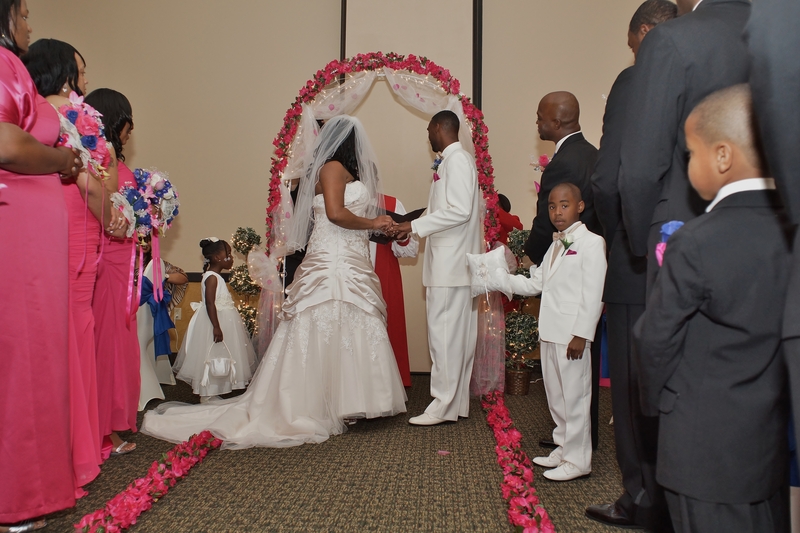 Wedding video will capture every second of your ceremony including your vows! The rest of the time you are pretty much standing there so the majority of your wedding photos will just be different angles of the same thing. If you get 80-100 photos of your ceremony your wedding photographer did a great job! As newlyweds you will be very excited about your wedding album and look at it often… but as time goes on you will look at it less and less until eventually you might almost forget where that safe place you keep it is. Wedding video is a lot different. You will have a DVD that you can keep right next to your DVD player and pop it in anytime you want. Your ceremony video will include every moment, every word, every tear, every bit of laughter, and is an archive of your ceremony that will last many generations. Your wedding videographer will also probably make you a mini-movie with highlights of your special day starting with you getting ready until the last note of your last dance. He/she will also give you all of the raw footage they shot that day including video of family and friends that will not be with us forever. Most weddings bring together guests from all over the country and your wedding could very well be the last time that all of these people are together. For more on this topic and how to get very affordable wedding video coverage visit www.abetterdj.net and go to the wedding-party tips tab for lots of great wedding tips and blogs.